First, Who we ARE and who we are NOT. Citizens for Ethical Government Inc.
Citizens 4 Ethics in Government of Nashville, Tennessee 37215 or Citizens for Ethical Government Inc. of Florida City, FL. President: Danielle Davenport. Below is a small fraction of the corrupt acts that made headlines all or in part due to our research. The Daily News will not allow us to post these articles so we devised Google searches you can use to find them. 2002: Republican Moderate Party Chairman Ray Metcalfe said the closed primary was an attack on the state’s four smaller parties aimed at luring them to the Democratic and Republican folds. 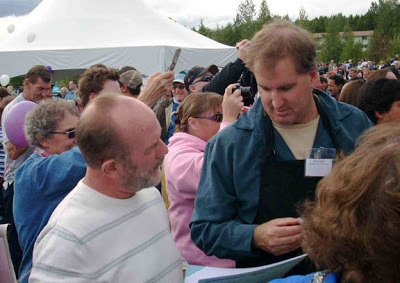 2005: – Former state Rep. Ray Metcalfe says state Sen. Ben Stevens has provided the “perfect storm” for a recall effort – displaying arrogance, attempting a raid on the Alaska Permanent Fund and maintaining a conflict of interest. Elections chief Laura Glaiser said Wednesday she rejected the recall application for state Sen. Ben Stevens, the 46-year-old son of U.S. Sen. Ted Stevens, on the advice of the Department of Law because it lacked sufficient factual and legal grounds. Ben Stevens refused to comment Wednesday night. …plan to put people in jail for accusing him of ethics violations, I promise to erect a giant billboard accusing him of ethics violations the very next day. Anchorage resident Ray Metcalfe is the chairman of the Republican Moderate Party. …those “Faces of ACES” ads to debate the content of this article and their ads any time, any place, any audience. Ray Metcalfe is a former Republican state legislator from Anchorage. …taxes on oil match what BP, Exxon and ConocoPhillips are already willingly paying to other oil producing countries. Ray Metcalfe is chairman of the Republican Moderate Party and an Anchorage resident. I’ve been meaning to take U.S. Senate candidate Ray Metcalfe’s Anchorage real estate tour since he offered to show me around late last year. A number of others have taken Ray up on this too. Before I took Ray’s tour, I consulted friends who are deeply involved with the Alaska Democratic Party. Ray had been singled out by the Party’s Rod McCoy for possible violation of the Party’s current Party Plan.